We had leftover duck from China Star last night so I thought I would whip up a quick noodle dish for brunch this morning. 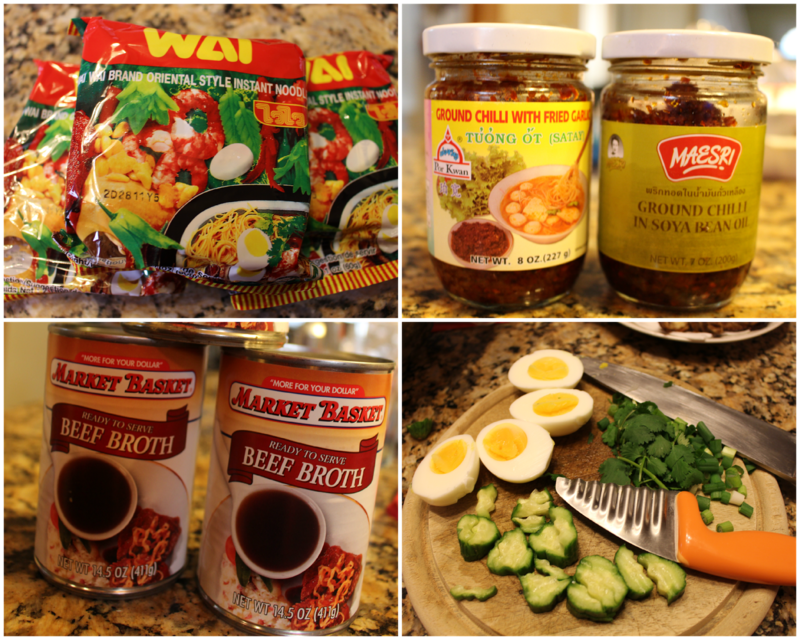 a recipe for "Not your college Ramen" made using whatever ingredients I had in my freezer, this recipe is similar except it has duck and made from beef broth. If your pork belly is not cooked, you can either roast it in the oven at a low temperature ( I use my counter top Nuwave) or slice it and deep fry it. If needed, reheat the duck by baking it. Remove the dry ramen from the packages and add to the pot. Discard any oil or seasoning within the package. In a large bowl, add the optional romaine at the bottom of the bowl. Use tongs to pick the long noodle out of the stock pot and portion them evenly into the two bowls.